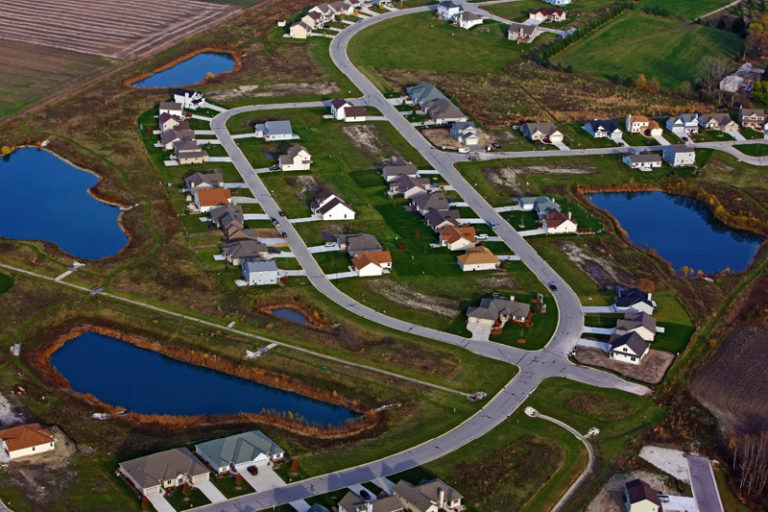 Services: Preliminary site feasibility and budget, value engineering, mass grading 1 million cubic yards, sanitary, water, storm sewer, basecourse, curb and gutter, asphalt, concrete paving, and restoration. A 160 acre – 300 lot subdivision. Finding economical and buildable solutions to a large watershed complex that had to remain operational. 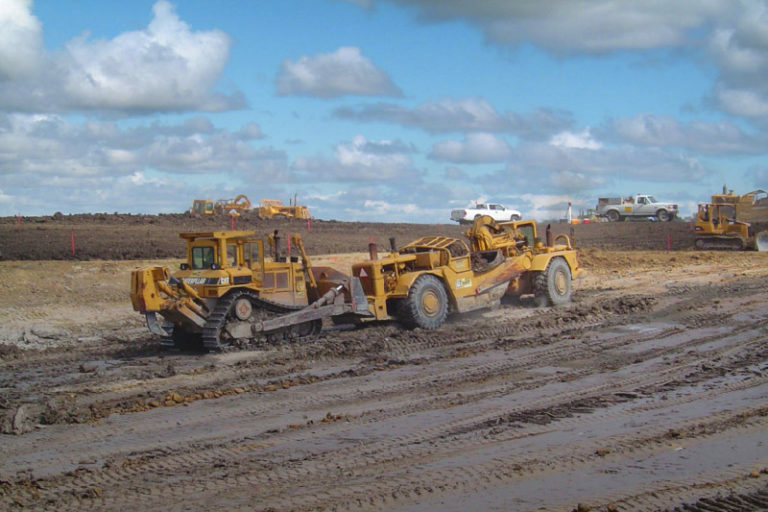 Average haul distance of the cut on site was 2,900 lf.Requiring extensive haul road and dust control operations. Large pre-existing storm drainage systems required a multi-staged construction schedule. 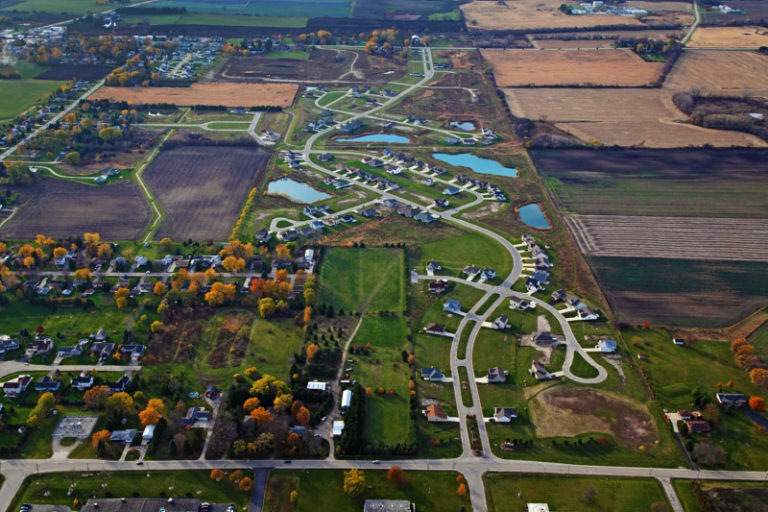 This is the largest conservation green spaced development ever built in Caledonia. Various prairie grasses, specifications, and open space concepts were applied. The timeline for the project required substantial man power and resources.